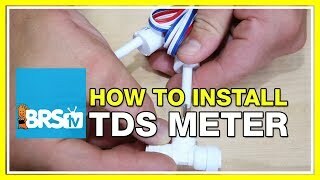 This TDS meter works very well. Very easy to install. Very easy to use. Only issue I have with it is that the connection point where the wires plug into the unit could have been built a little bit better, it leaves a tiny exposed area. This, albeit unlikely, is a point where water could get in or the wires could get bent and broken. As long as you are mindful of this when mounting it and changing out the battery, it shouldn't be a problem. Easy hook-up, automatically shuts off after a few minutes, appears accurate but I have not checked it against any controlled samples. 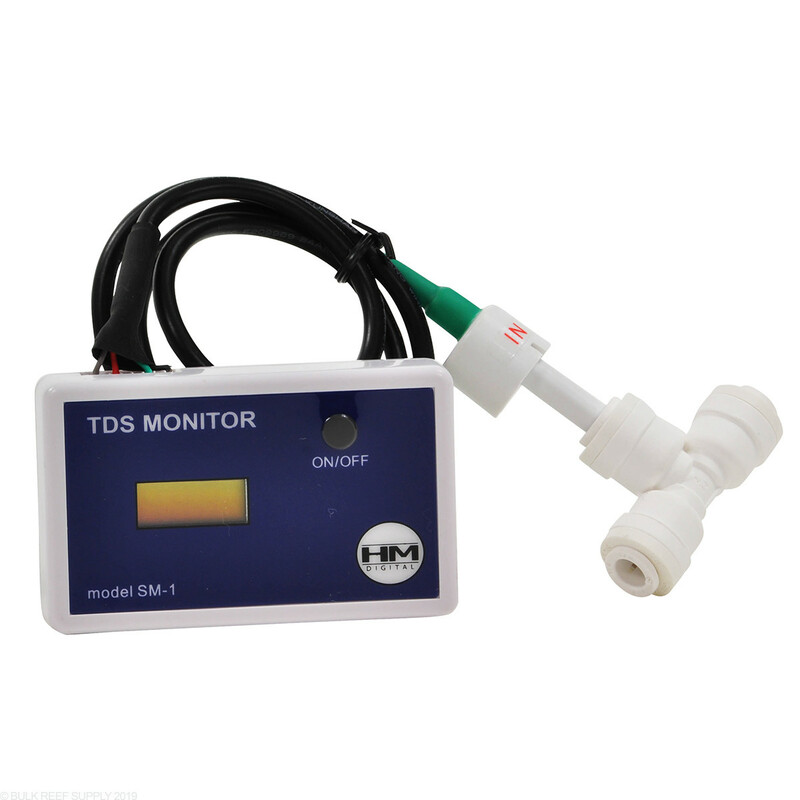 TDS meter sm-1 working like it should nice product for the money. it takes like 5 min to install and does what it is suppose to do. Velcro allowed easy attachment to filter system. Quick connect T fit hoses and sensor perfectly. Instructions were well written and clear. Very happy with item. this product does exactly what it was made to do, easy hook-up perfect for any r/o system. This is a great item to have, but it has a rigid plastic 1/4-inch probe section that fits into the supplied T-fitting. But it has a slow leak between the rigid plastic insert and the quick-lock fitting which caused me to have to put a ball valve in my input water supply just to turn it off between uses so that my otherwise dripless RO system and connectors wouldn't drip, drip, drip day and night. Never tested my ro system. Since I just bought the upgrade and booster pump from 75 gallon to 150 gallon. I had to get some way to see my water quality. Worth every penny. Hooked it up out of the box, was getting a reading instantly. Great for letting you know when you need to replace your filters, so in a sense saves you money. And keeps your aquarium clean and in tip top shape. I will not go with out one anymore. I order one of these units a week or so ago, good thing I did . I would have never known my tds were hi as they were. I am taking corrective action to get it to 0 tds where it should be. Have an RO system? Then you must have one of these. 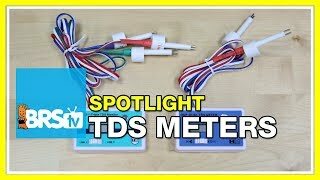 Accurate reading, super easy to install! 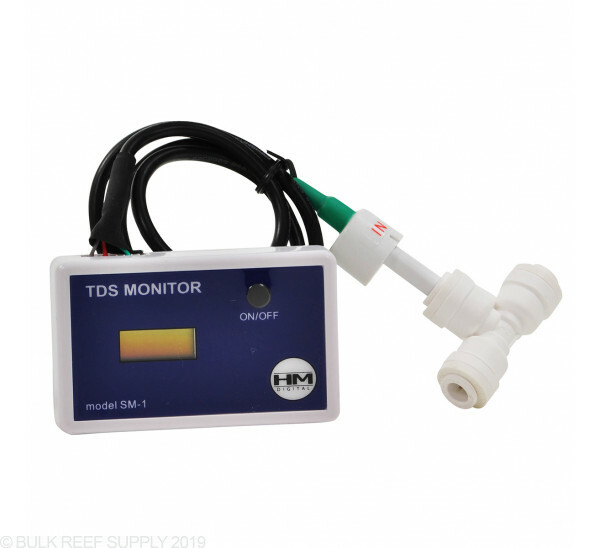 The Single Inline TDS meter does a great job of detecting TDS in my RO/DI system. I use it once every two weeks to monitor for need for filter change. Easy on/easy off. Great price.